Living Arts WILL RECEIVE 7% OF OUR NET PROFITS FROM SALES IN August + September, 2017. THANKS TO EVERYONE WHO VOTED ON OUR HOMEPAGE! Living Arts was founded in 1999 to deliver dance instruction to a handful of students in Southwest Detroit, a unique neighborhood that has historically welcomed immigrants from Latin America. The area is culturally rich and rapidly growing but—like the rest of the city—vulnerable to a range of social, economic, and educational challenges. In the intervening years Living Arts has grown to bring transformative experiences in the performing, visual, literary and media arts to more than 3,600 youth, teachers and families annually in schools, Head Start centers and neighborhoods across Detroit. Their curriculum-based, PreK-12th grade artist-in-residence programs and robust after school classes have been shown to improve kindergarten readiness, boost academic achievement, and develop students' leadership and artistic skills. Living Arts is the only source of arts education -- in school or out of school -- for most of the young Detroiters they serve. Their growing list of arts-based programs including their Detroit Wolf Trap program, in-school programming, out-of-school youth classes and workshops, and other community programs. Living Arts’ Detroit Wolf Trap program, including Baby Artsplay!™, offers artist residencies and workshops in school and community settings for children 3 months to six years. 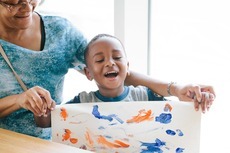 By integrating the arts into learning, their residencies help support a child's path toward kindergarten readiness, promoting success in Detroit schools and communities. Living Arts offers visual, performing, literary and media arts education programs for youth in elementary and secondary schools. Their in-school programming includes: Arts-Infused Education, In-School Arts residencies and classes that directly support students' learning in English language arts, math, science and social studies by integrating those subjects with artistic learning. Living Arts’ out-of-school youth classes and workshops include year-round visual, performing, literary and media arts education programs for youth ages 2 years to 18 years. 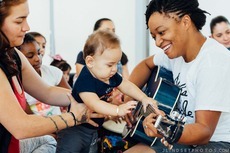 They provide youth arts programming after school on weekdays, for infant/toddlers and their caregivers on Saturdays, and in the summer months. Teen programming includes “THE SPOT,” an interdisciplinary, youth-led open studio program. 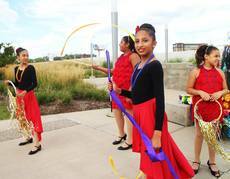 Living Arts’ flagship community event is Teatro Chico. 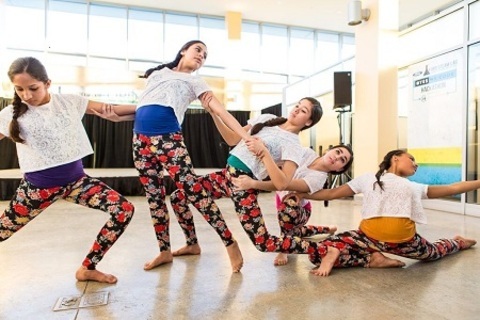 Spanish for "Little Theater," Teatro Chico is a performance series that presents outstanding youth and professional Detroit artists in Southwest Detroit at the Mexicantown Mercado. Multiple art disciplines are showcased including dance, music, visual art, storytelling and performance art. To learn more and find out about upcoming events visit Living Arts.